What Is the Ideal Size for Your Network on Linkedin? One of the most frustrating truths about a job search is that just about every question on the subject can legitimately be answered, “It depends.” For example, a one-page resume might make sense in some instances (e.g., newly-minted bachelor’s degree-holder), there may actually be a legitimate reason to share your Social Security Number with a recruiter, and maybe providing your landline number is sensible in a specific circumstance. This goes double for the size and shape of your LinkedIn network. What Size Should Your Linkedin Network Be? How valuable your contacts are is more important than the number of connections you have. The right connections can help you get inside information on a company, refer you for a job, or provide career advice. 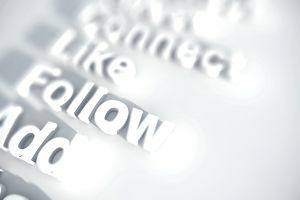 You can't have more than 30,000 first-degree connections, but an unlimited number of other LinkedIn members can follow you and view, like, or comment on your posts. Some people do send invitation spam, and that’s obviously in no one’s best interests. Also, the recipient may respond to your invitation by marking it “I don’t know” who the sender is. In LinkedIn circles, this is commonly abbreviated as IDK. If this happens to you five times, your account will be suspended until you promise to be more selective about whom you invite in the future. For the majority of LinkedIn users, that’s just fine, but, not for all. As with so many things, the range of possibilities runs the gamut. There is a distinct subset of LinkedIn users who self-describe as LinkedIn Open Networkers or LIONs. These are users who have decided to build the biggest possible network they can. Becoming a LION is a straightforward process requiring two steps: 1) indicate that you are a LION in your profile, commonly in your headline and 2) start accepting any and all invitations to connect. Some enjoy the possibilities that can arise in large networks, some are on a mission that requires connecting with as many people as possible, and some have entirely different reasons. Whatever the reason, they are all LinkedIn members who want to have the biggest possible network they can. Accomplishing this takes time and hard work, mainly because LinkedIn imposed a limit on the size of networks. By contrast, some LinkedIn users prefer only to have networks that include those they truly know very well. These members don’t have a clever acronym, but in terms of percentage of the total LinkedIn user base, there are indeed more of them than there are LIONs. What's the best type of LinkedIn network for you? Only you can know what network size is best for you because the right size of your network is entirely dependent upon what you want to accomplish on LinkedIn and how you network. It’s a uniquely personal thing to determine the circle of people with whom you want to be associated. Incidentally, no matter where you fall on the spectrum, you should have at least one LION in your network—or perhaps a few if you are conducting a job search. It will help expand your network by a considerable degree. Either way, it makes sense to decide on which approach you want to take. If you keep it small, you'll know that everyone in your network may be in a position to assist you. If you choose to grow your network on a larger scale, you'll have more contacts to outreach to, but they may not all be connections who can provide career or job search assistance. What Shape Should Your Network Be? The more interesting question is what shape your network should be. And with all due respect to the LIONs who may be reading, the shape of your network is actually more important than its size. When you are conducting a job search, just about every job search resource that exists stresses the importance of networking. Depending on what source you prefer, 70% to as much as 80% or more of positions are filled through networking. Ideally, you can find someone at an employer you are targeting who can provide some insight into what the organization is actually like, beyond the employer reviews you can find on a host of websites. Those reviews do need to be taken with a grain of salt, after all: very few people are more motivated to write reviews than those who have had a bad experience. But a current or former employee can give you a much more detailed impression of what the employer is actually like. Handled well, these networking connections can help you optimize your candidacy for a position with that employer. Incidentally, this is a form of informational interviewing. And LinkedIn is terrific at helping you find possible candidates for these conversations. This is an admittedly long-winded way of saying that it’s important to network with specific people: your networking activity should be targeted. This is what I refer to as your network’s shape, and it’s why I say it trumps network size. In The Empire Strikes Back, Jedi master Yoda says, “Size matters not. Look at me. Judge me by my size, do you?” The Jedi master might just as easily have been talking about your LinkedIn network and its shape.